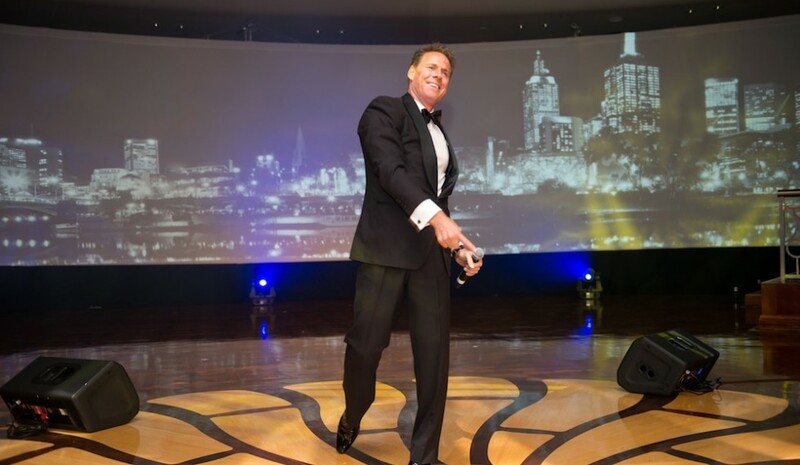 Creating a client appreciation event for such a well-known and highly regarded brand as The Hyatt is never easy. 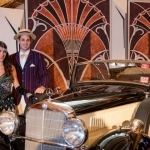 a 1920s cocktail party theme was selected, to highlight the hotels art deco design. With Hyatt hotel general managers from the greater Asian region flying into Melbourne for AIME 2015, this was the perfect opportunity to fly The Hyatt flag. Key objectives of the event were to strengthen and deepen existing relationships, foster new corporate client relationships, and showcase the full portfolio of Hyatt hotel brands. Working in partnership with the Park Hyatt Melbourne sales team and in-house event technology supplier Staging Connections, the Instinct team conceived a lavish cocktail event that would perfectly showcase the hotel and provide a setting for all Hyatt brands to flourish. Titled ‘Puttin on the Glitz’, the concept was a roaring twenties Art Deco inspired affair with the odd Gatsby-esque touch of sophisticated suave. 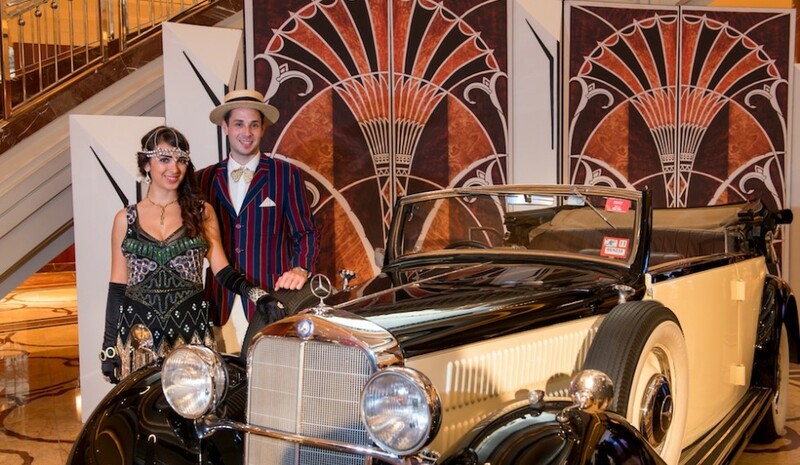 The foyer featured a 1920’s convertible Rolls Royce set in front of an art Deco styled media wall that created the perfect photo opportunity setting. 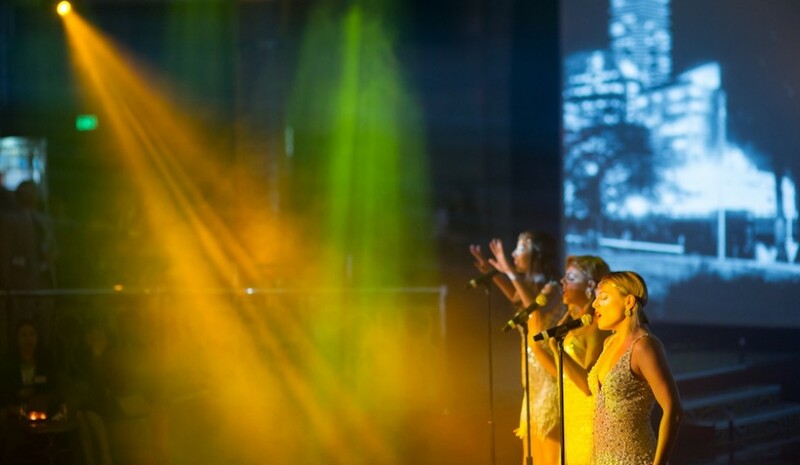 A huge 6:1 ratio, floor to ceiling, panorama projection screen filled one entire side of the room and displayed stunning Hyatt branding and multimedia imagery, creating the perfect backdrop for formalities and entertainment. 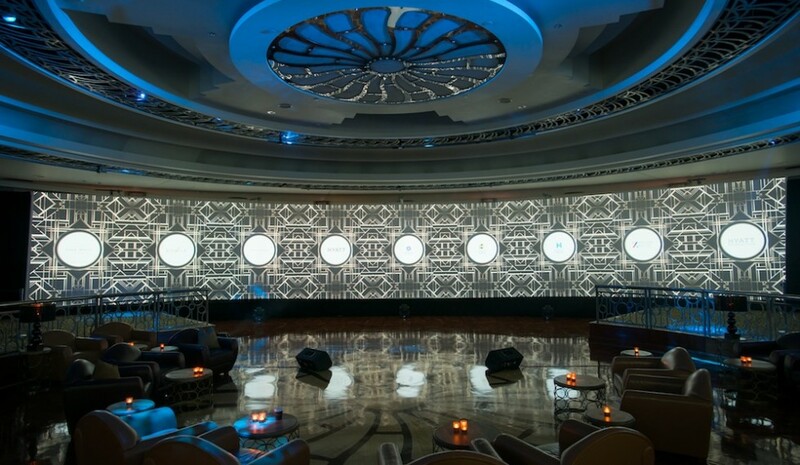 The room also featured art deco furniture and several cocktail bars where each Hyatt brand showcased their individual culinary and mixology prowess. 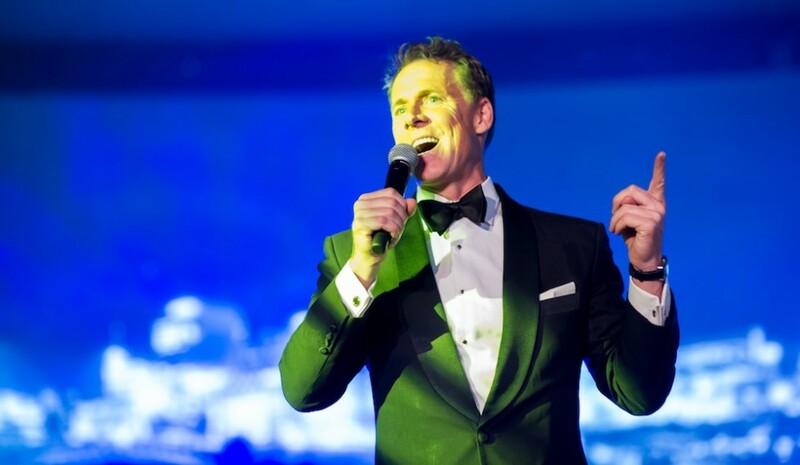 The highlight of the evening, hosted by MC David Malek, was two stunningly superb performance by Sydney based trio The Diamonds, who literally added the extra glitz to this amazing client friendly event.